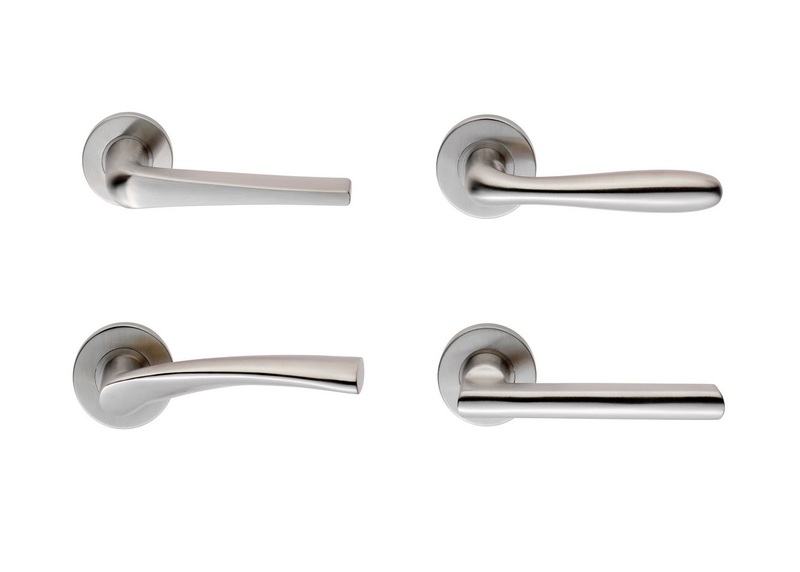 Four new door handles in different designs have been added to Eurospec’s Contract Stainless Collection. Manufactured in Grade 304 stainless steel, the handles are durable but aesthetic and are keenly priced making them ideal for both commercial and residential applications. When fitted on FD30/60 fire doors they comply with BSEN1906 part 1:2000. The handles comprise a 50mm diameter x 8mm thick Sprung Rose and, as with all handles in the Collection, have a fully featured 10-year mechanical guarantee. Manufactured and tested to BS EN1906, they are coded CSL1121, CSL1127, CSL1134 and CSL1160. The new handles complement the other products in the CSL range which include mortice knobs, escutcheons, D-pull handles through to square mitred pull handles and DDA compliant door furniture. The Carlisle Design Group, one of the leading distributors of architectural ironmongery, supplies Carlisle Brass, EuroSpec, Eurolite and Carlisle Design Pre-pack. Products include door and window furniture, locks, bathroom fittings, cabinet and cupboard hardware, high specification switch plates and sockets plus other ancillary products.